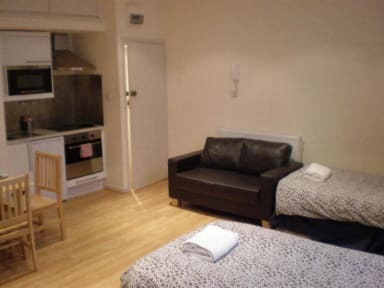 If you are looking for New style comfortable Studio flats in London for a short term stay then look no further I am proud to let you all know that I have Amazing Studios only 15mins by tube to central London... We are offering an up to date Look Studio Apartments with all the comforts that you would find in your own home. 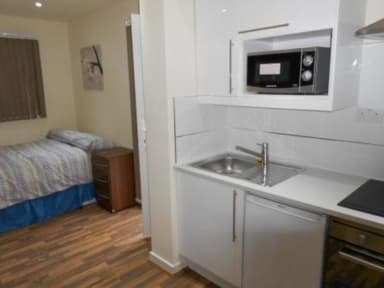 To give you that real feel for London life. There's no curfew, so you can discover our beautiful city on your own terms! If you arrive outside of these hours, you will need to do a self check in, which will incur an additional, £25 for a self check in. Any booking amendments are subject to availability and are made at our discretion. Amendments may incur a charge of £25.